The InFocus IN8606HD is a 1080p home video projector that boasts 2,500 lumens maximum output, a claimed 10,000:1 on/off contrast ratio, and a street price well below $1000. Its 1.5:1 zoom lens makes it easier to set up, while a 10W mono speaker provides a built-in sound option when nothing else is available. The long-life lamp can last 6,000 hours in the projector's Eco mode, and inexpensive replacements make the projector a good value over the long run. The IN8606HD also includes some higher-end features, such as ISF Day and Night modes, a 12V trigger and 144Hz Triple Flash 3D plus a VESA 3D sync port. 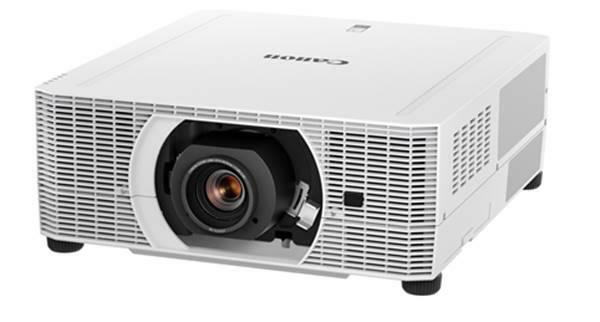 The IN8606HD starts up for the first time in Presentation mode, the name of which is a clue that the projector isn't purpose-built for home video. Presentation mode measures 1085 lumens and is ideal for TV and video use in rooms with a lot of ambient light despite a slight blue tint. If home theater is more your cup of tea, the IN8606HD's Movie mode at 703 lumens has unusually accurate color right out of the box, so you can start watching right away. With a quality HD source, the IN8606HD's image in Movie mode is quite good. Light output is significantly lower than in the brightest image modes, but contrast is higher, shadow detail is better, and the image is more natural and balanced. If you can spare the light output, Movie mode is where you'll want to spend most of your viewing time. The IN8606HD has Full HD 3D compatibility and uses 144Hz DLP Link glasses, which are not included. The 3D image is clean and clear, just as we've come to expect from the latest generation of DLP Link. But the IN8606HD also includes a VESA 3D sync port, so you can connect an emitter for infrared or radio-frequency 3D glasses if you prefer those technologies. "Indeed IN8606HD colorwheel speed is 2X but when I made that statement I said it applied to a 1080p60 input. It also applies to 1080i30. However at the slower blu-ray movie 24 fps rate colorwheel speed is 4X with 2D material and 6X for 3D. And that brings up another point. You must use 3D glasses compatible with 144HZ left eye right eye switching. I agree if your main interest is gaming and your game box or PC is set for 60fps and you are sensitive to RBE 2X might be problematic for you." It would be great if you could somehow verify his claims and add the results to this review. Thanks for the review. One month I have been looking at this projector and yesterday I started to compare to the W1070 ago. Today I decided to buy the Benq. I am looking for a review of the Vivitek H1185HD. Not found any useful at any specialized sites, unfortunately. This one, based in the rumor that they uses the same base units, Infocus and Vivitek, can reflect truly how the Vivitek performs? ps. a link to a good review for Vivitek projector will be very appreciated too. Thanks.